There are different types of artists on this earth and Tal Peleg is not just like the other ones. She paint and the most amazing matter that separates her from others is her way of painting. She is a visual artist and she loves to paint the human eye. 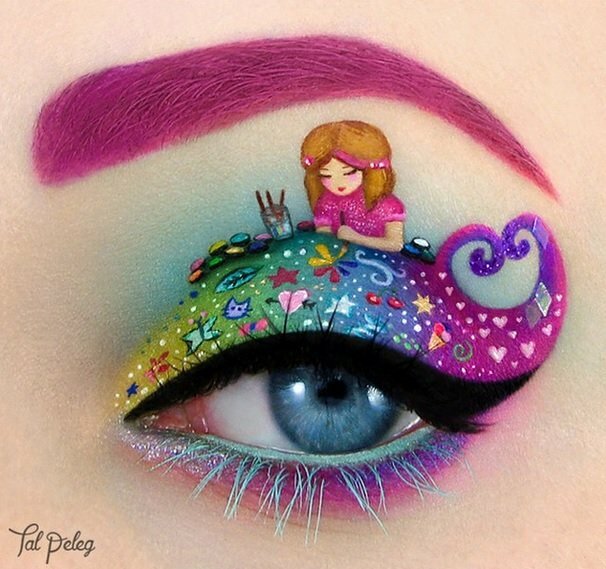 Eye Makeup is her specialty and she become very popular on instagram while posting her art work. Besides painting, she loves music, animals and her family. Tal Peleg is from Israel and she has over 120K followers on instagram. She also work with different medium and you can have a look at some of her best works here.